Richard Turley is not only an amazing historian but is Director of Public Affairs for the LDS Church. In our next conversation, we’ll get acquainted with him and learn about a few of the books he has written, including the recent release of Saints: The Standard of Truth. Turley: So Saints, the story of The Church of Jesus Christ in the Latter-days, is the first multi-volume history of the church produced officially since B.H. Roberts’ comprehensive history, which was compiled from a series of journal articles that he wrote and published as a set in 1930 as part of the church’s centennial. Saints is a four-volume work that breaks the history of the church up into four time periods: 1815 to 1846, and then from there until 1893, and then from there until the mid-1950s. Then from that point to the present day. It is a history that is written in narrative style. So, unlike a lot of histories which was just somewhat expository, this one is narrative, which means it’s deliberately intended to be engaging to the reader. The content is extraordinarily accurate history that’s been source checked repeatedly. You can find the sources in the back of the book. But it’s also written in a very engaging style. So, it has already become, by perhaps an order of magnitude, the single most read history in the history of the church. GT : Well, it’s sold out too. Do you know that? Turley: We give it away electronically, and we’ve had a vast number of downloads. We’ve also had a vast number of chapter views. So, we know that we have over a million people reading it right now. Turley: Well, it’s remarkable. Volume 1 is remarkable, and the other volumes will appear in succession. I encourage everyone to read it. We also talk about his past and future books on the Mountain Meadows Massacre. Turley: So when my co-authors and I were writing Massacre at Mountain Meadows, we gathered a lot of information. In fact, we ended up with more than 50 linear feet of files that we had collected from 31 states in the United States and the District of Columbia. I include in that the National Archives on Pennsylvania Avenue in Washington, DC, the National Archives in Maryland, what we sometimes call Archives Two and the Denver facility for the National Archives. So, we had a lot of information. The information that we gathered included historical documents, legal documents. The legal documents were particularly important, because no one had ever really examined the case from that perspective before and I, having a legal background, was particularly interested in doing that. So, working with the Janiece Johnson and LaJean Purcell Carruth, who is a shorthand transcriber, we put together these two volumes, and then an associated website that has on it thousands of additional pages of information. 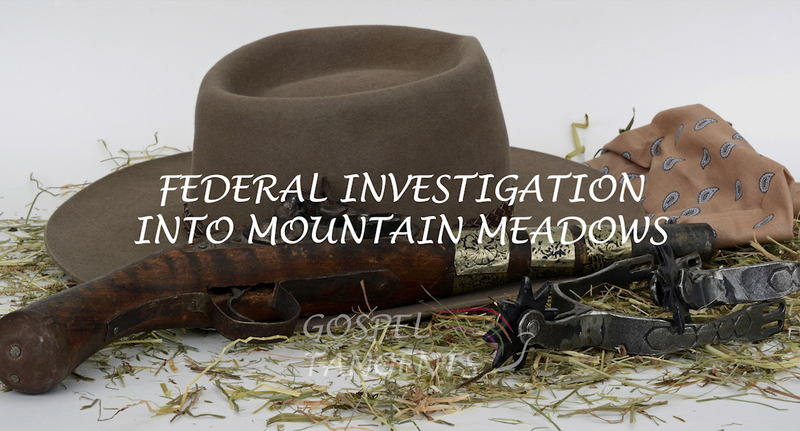 These volumes gave you the perspective from a legal standpoint of the Mountain Meadows case, including information related to the nine people who were formally indicted for the massacre. Richard Turley is not only an amazing historian but is Director of Public Affairs for the LDS Church. Check out our other conversations about the Mountain Meadows Massacre with Rick’s co-author, Barbara Jones Brown. In our final conversation with Barbara Jones Brown, we’ll talk about who was most culpable for the massacre. Was it John D. Lee, Brigham Young, or militia leaders in Iron County? Barbara: [Brigham Young] starts to come to believe that John D Lee and Isaac Haight we’re involved. Now at this time, he doesn’t have civil authority. He just has church authority, right? Because he’s not the governor anymore. And so, he excommunicates John D. Lee and Isaac Haight, eventually. GT: Would it be safe to say that those were the two most responsible people for the massacre? Barbara: I think William Dame is also responsible because he gave the final okay to go ahead and carry it out as Iron County militia commander. Phillip Klingensmith was clearly very much involved and clearly received much of the spoils. We know from a clerk of Phillip Klingensmith that he was pilfering tithing funds and stealing from the people long before the massacre. 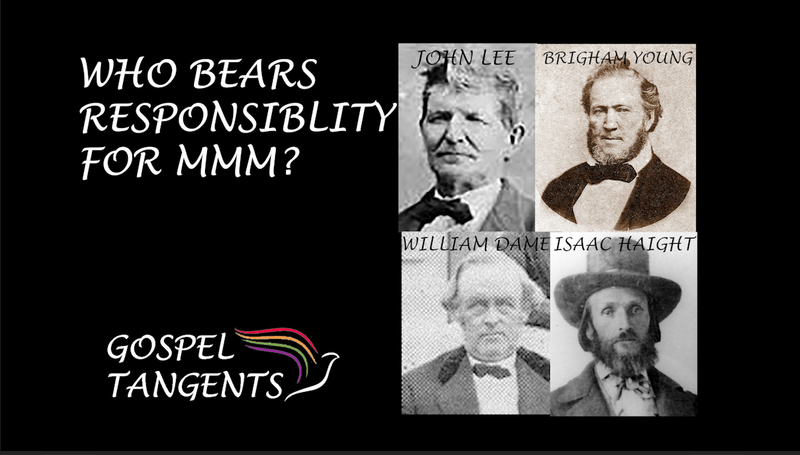 But is Brigham Young completely blameless? Barbara: I agree with Juanita Brooks’ conclusion that his rhetoric before the massacre was very dangerous. You know, privately he was writing and saying, “I don’t want any bloodshed in this conflict.” But he was definitely whipping people up into a state of hysteria. GT: Would Brigham Young be an accessory to that with his rhetoric? Barbara: I don’t think he’s an accessory to the crime. I look at President Donald Trump today and some of his rhetoric that he uses. Did he tell people to do what happened at Charlottesville? No. But did his rhetoric make people think it was okay to do what they did? Did some people think it was okay to do what they did at Charlottesville? Probably. So, would you call Trump an accessory to any crime? Would you call Trump an accessory to the crime that occurred at Charlottesville when you had one of these people drive a car into protesters? No. I wouldn’t call Trump an accessory to that crime. No. But did his rhetoric encourage some people to think that was okay? Possibly. Are there others responsible for the deaths at Mountain Meadows? Check out our other episodes with Barbara!